We’ve seen too many failed bus transport systems to actually believe into something now but this time, we have partial hope in the project proposed by Japan International Cooperation Agency (Jica). Of the many proposals to rid Karachi of its public transport system failures, ‘Yellow Lines’ have been selected for one of the six corridors for Bus Rapid Transit (BRT) system. Dawood Chowrangi in Landhi to Regal Chowk, Saddar via Korangi Road, FTC, Shahrae Quaideen, Numaish and People’s Secretariat Chowrangi. 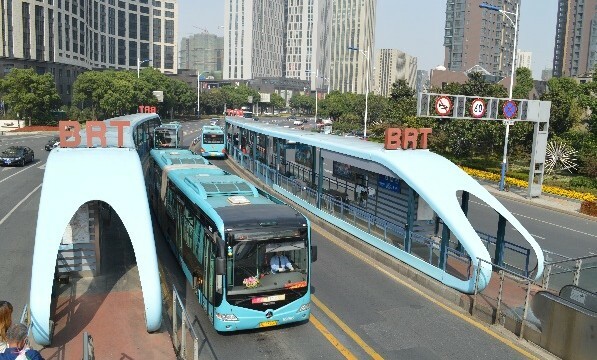 Sixteen kilometres will be specifically for the BRT and no other vehicle will be allowed on the lane. Two separate flyovers will be constructed – one from Khayaban-e-Ittehad to Kala Pul and the other at Saddar Parking plaza to Regal Chowk. On Sharae Faisal the bus will move with the traffic. Sindh’s transport department now want to move ahead with the proposal without wasting anymore time, Sindh CM’s consent on the project has already been taken and now the department is waiting for him to sign the relevant papers so the department can move ahead with the plan.